While I researched a recent article about modern kitchens, the search results repeatedly produced images of glass countertops. To my amazement, there are so many options and even more combination of options available. There are definitely some key designs that stand out for me and I’ve curated those in this article for your enjoyment and convenience. Please note that all of these styles are easily combined with each other and even more features. 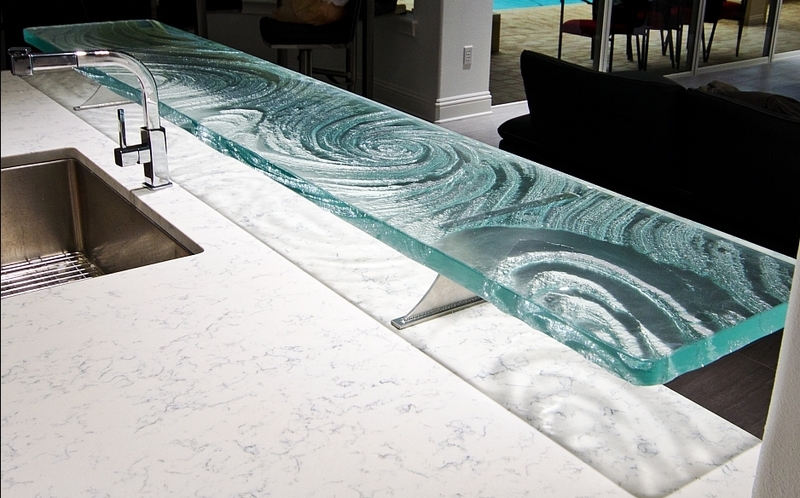 Directly below is a list of some of the variations available for glass countertops. 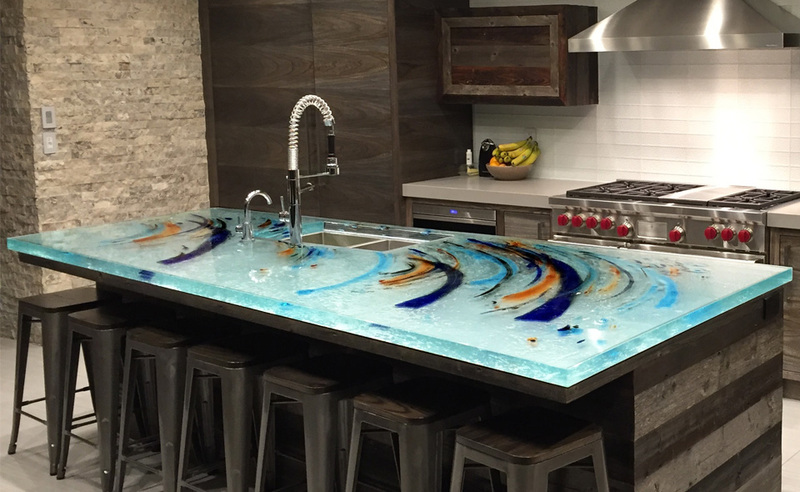 As you see, there is a long list of choices to make before you design your enduring and sophisticated glass countertop for your bathroom or kitchen.